Arlo looks up to Athena for so many things, if he’s unsure of himself he will look to her and mimic whatever her reaction is… fairly annoying if it’s food related as it means he won’t try anything she doesn’t like! But for most other things it’s pretty cute, like when he copies how she pronounces things or sings the (Wrong) words to songs! Arlo has also got a lot more vocal about what clothes he wears too, at a far earlier age than Athena did and I think this is because he sees her picking out her clothes at the weekend and wants to assert some authority there too! At the moment Arlo can wear what he likes to preschool, and often decides whatever I’ve picked out for him isn’t good enough and he wants to wear his own clothes! Both Athena and Arlo love bright, bold patterns and will often choose tops and bottoms that clash horribly with each other given half a chance, so I tend to pick out two options for the top, let them choose and then find two options for the bottoms that would match and let them pick. This way they still feel like they’ve made the decision on how they dress but they don’t look like they got dressed in the dark! Last week we were sent a lovely parcel of goodies from shopDisney, and I let the kids open it up to see if they approved! 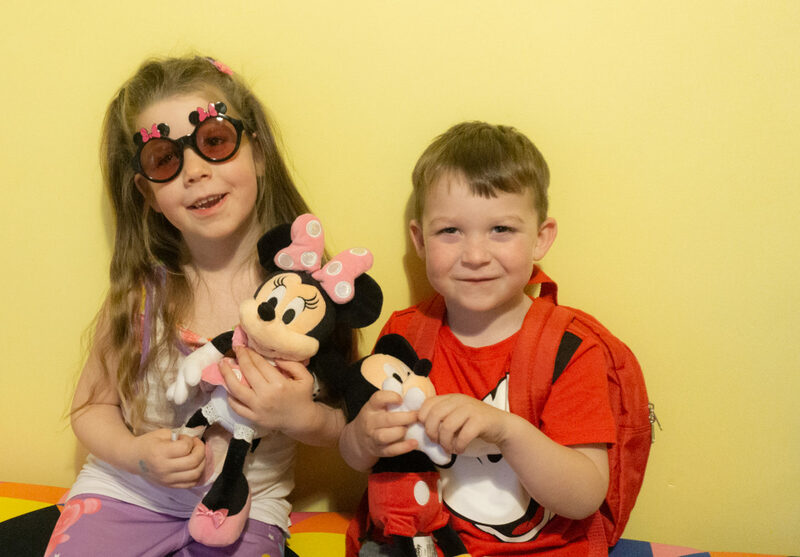 As you can tell from their smiles they approve of what arrived, and being huge Minnie & Mickey fans helped too! Although it didn’t help their desire to want to visit Disneyland, they pester me more than ever about it now! Athena now has the most colourful top & leggings set with gummy-bear Minnies and Mickeys on- perfect for her street dance lessons! The top has a racer back and is double layered, with a floaty layer on top and she is SO chuffed with it! 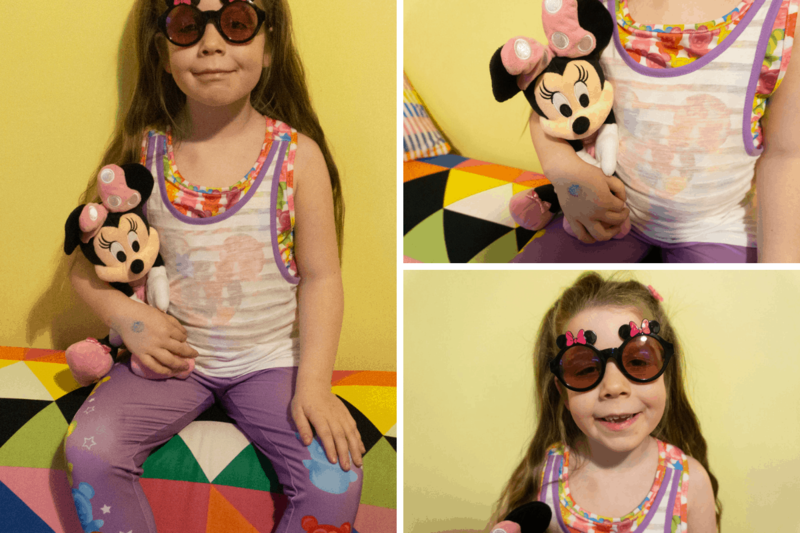 Of course, the Minnie Bow sunglasses top the outfit off perfectly! She’s since found the swimming costume and shorts set in the same funky design so has added it to her birthday wishlist! 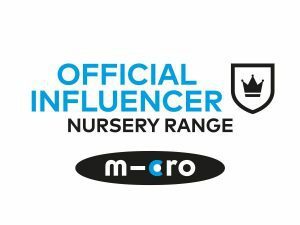 Not only did Arlo find for himself the brightest rain coat we’ve ever seen, he discovered he can stuff it all in the integrated pocket to carry it around in, and he also used it as a pillow in the car – that’s multi-use for you although probably not what the designers had in mind! 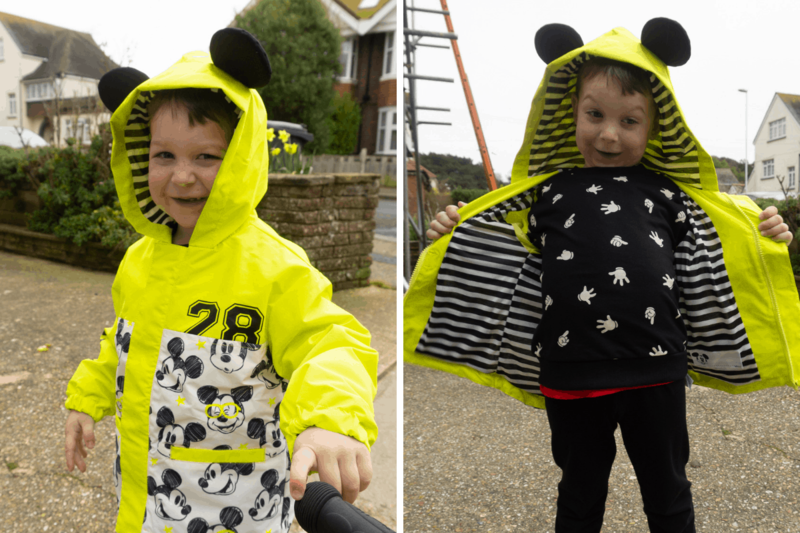 The hood of the coat has Mickey ears, as well as the carry pouch, plus the jacket has pockets, so he’s happy! 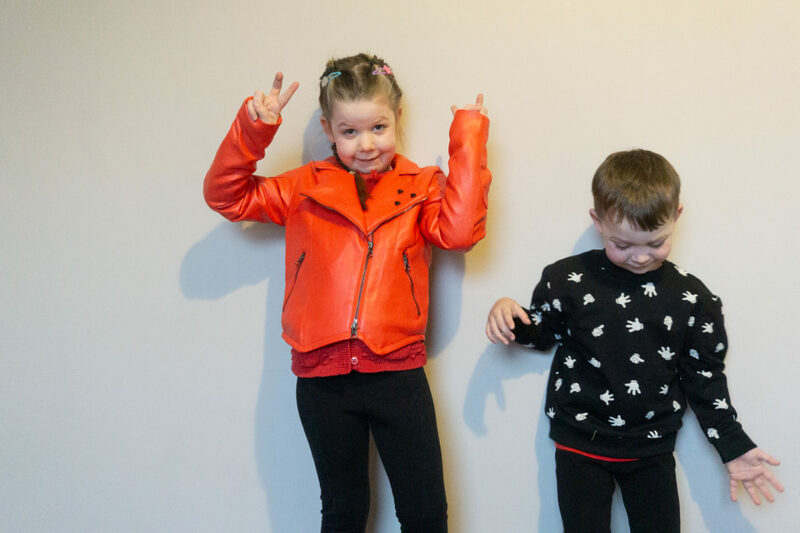 Athena’s new coat is a trendy biker jacket in bright red, with subtle little mouse studs on the lapel- of course with it being red she wore it to school on Red Nose Day where her friends ooh’d and ahh’d over it! When I asked Arlo what he wanted to wear to preschool today he pulled out both his Mickey T shirt and sweatshirt and there was no point in arguing with him so I just hope it’s not a messy play day today! I really love the sweatshirt with the gloved Mickey hands all over it, it’s cosy and comfy too! 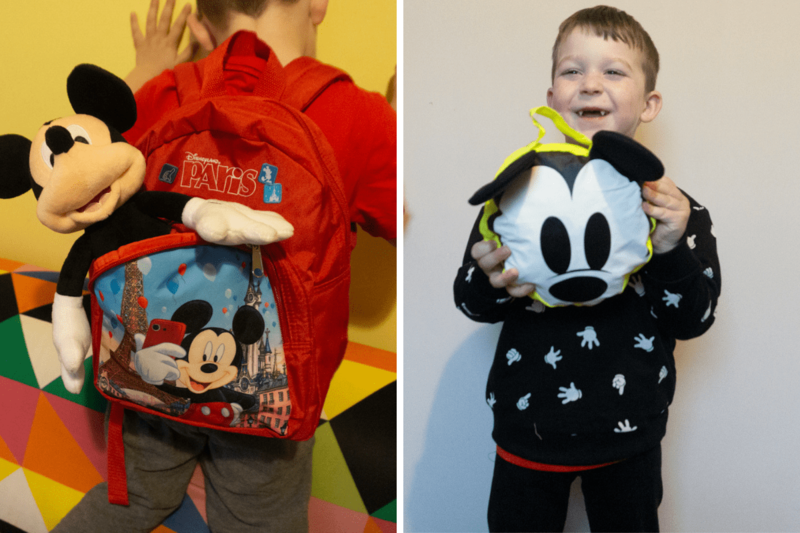 He’s stuffed his new Disneyland Paris backpack full of pencils and toy cars (his current favourite things) and has been wearing it even on little journeys to the shop – we’re off to London for his birthday at the end of the month so for once he’ll be willing to have a backpack to carry his water, snacks and toys in! 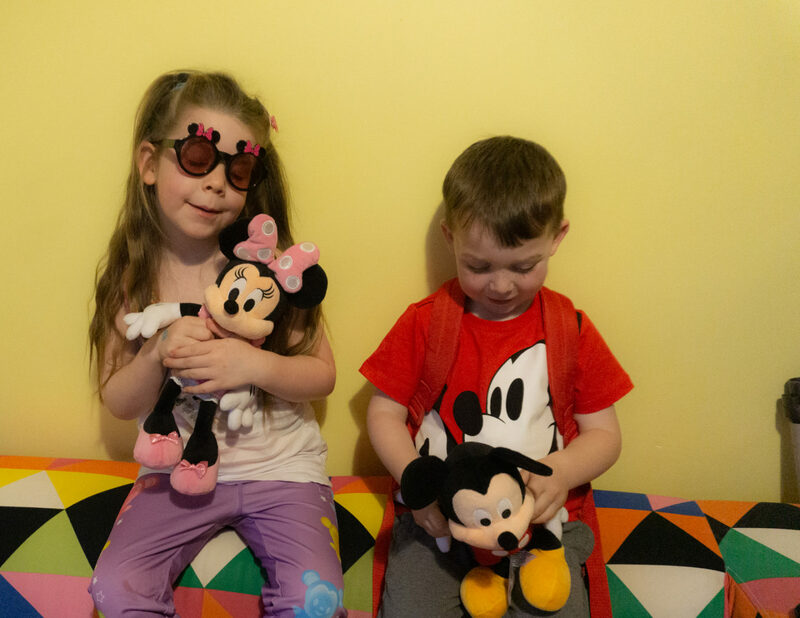 Finally they were both thrilled to get a new cuddly toy each, which they’ve both been inseparable from since, taking them to the dinner table, cuddling them on the sofa and tucking them up next to them in bed! As always with shopDisney clothing everything is well made, true to size compared to other brands and looks good as new out of the wash too. 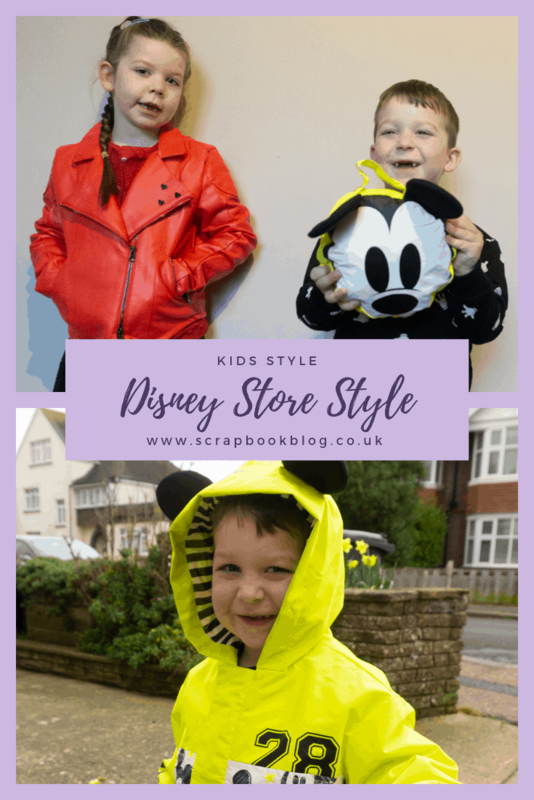 You can see the full range of characters, clothing and gifts on the shopDisney websiteclothing and gifts on the shopDisney website – I was having a browse and found a Mickey Mouse Le Creuset casserole dish – who knew!? Do your kids like to have a say in what they wear? Do you let them pick their own clothes when you’re shopping for them? This post features gifted products from shopDisney, though all words, opinions and photos are my own. Next Post Mother’s Day around the World + A Guinness World Record attempt! Great post, some really cute things!